Frank Mannion started dancing early in life and was taking Tap dance lessons at the age of ten. He danced through out high school and was frequently seen around the San Francisco Bay area, always on the side lines, watching and learning from some of the dance greats of the day – Jack Willingham, Dean Collins, and Stan Hardiman. He started dancing with his sister, Joan, becoming a popular Swing couple and winning many contests. 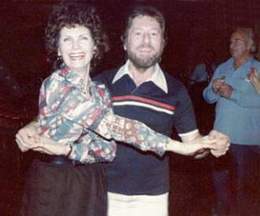 At the age of seventeen, Frank started teaching at a major dance studio and started dancing with Marie Young, who became his partner in competition. Their dancing was fast and smooth, and they were soon known as “the Best.” Frank also danced with Jo Chavez when Mambo and the Cha-Cha became popular. He quickly mastered these dances, becoming a dominant force in their beginnings, but he never lost his love for Swing which he continued dancing at many nightspots. Frank served in the US Navy from December 1951 to November of 1955 and danced wherever he was stationed. While stationed in New York he won a Swing dance contest a month before his discharge and was very proud of that achievement. After leaving the Navy he resumed his teaching career, but had a difficult time adjusting to the big dance studio’s policies for enrolling new students. He quit and got a day job, but continued teaching evenings and weekends in his home and at various dance venues. Frank taught Swing at his home and popular dance spots for over 25 years, bringing joy and happiness to hundreds of dancers. Ed Cirio and Phil Trau were two of his students, for he was the master of Swing Dancing in the greater San Francisco Bay Area. People were on a waiting list to take lessons from him. As fad dances came and went throughout the 1960’s and 1970’s, by teaching Swing throughout those years, Frank was the one who kept Swing dancing alive in that area. by the California Swing Dance Club to compete at the San Diego Swing Dance Convention. There have been many who have contributed to the art of Swing dancing, but few have started so young and contributed throughout a lifetime. 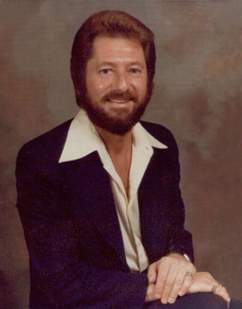 Frank was active for thirty-three years until a car accident on June 1st, 1979 took his life. Loosing Frank was a big loss to the dance community, especially in the Bay Area where he had become a legend and is well remembered by those who admired his fast, smooth moving feet.